If you wear glasses, you probably are a candidate for contact lenses. And if you don’t wear glasses, you can still be a candidate. 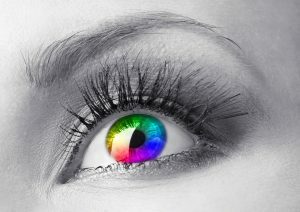 You can change the color of your eyes and create a mystery in your life with contact lenses. Contact lenses give you clear vision all-round. There is no obstruction – nothing blocking your eyes – everything is clear and that’s very important. If you are driving or if you are playing sports, this can come in very handy. All you have to do is ensure the degree of vision is good in the contact lens you want to buy. They give you a more natural look than glasses and match everything including your outfit. Now, you can express yourself to the world the way you want to. If you don’t know the right brands to buy lenses from, you may not get these great benefits. To make shopping easier, we have compiled the best contact lens brands you should be buying from. Now that you know the benefits of wearing contacts, what’s next? Choose the right brand, of course! When it comes to the leader in contact lens technology, you will find this brand at the top. They invented the silicone hydrogel material that almost all the leading contact lens makers use. Johnson & Johnson is also the parent company of Acuvue Oasys (detail below). They are one of the few lens makers that really want to meet the needs of contact wearers. They have popular contact lenses on the market. This includes the Acuvue Vita with HydraMax Technology & Acuvue Vita with Hydraluxe. Therefore, they are doing everything to provide comfort all through the month of wearing them. Acuvue is the leading lens wear brand in the world, no doubt. 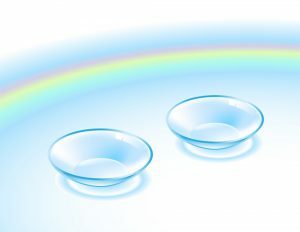 It’s the first company to produce disposable contact lenses as well as daily disposable lenses. Acuvue is under the aegis of the Johnson and Johnson company. No wonder they use cutting-edge technology in their contact lenses. With the lenses from Acuvue, you can expect to maintain whiter and healthier eyes. They even have lenses that protect against the harmful effects of UV rays from the sun. And this won’t impair the adequate transmission of oxygen to the eye. Acuvue Oasys specializes in disposable contact lenses. This includes reusable contact lenses, extended wear contacts, and disposable contact lenses. All of them are suitable for work and travel. Some of their most popular products include the Acuvue TruEye, Acuvue Moist, Acuvue Oasys. They are available for you to choose at any time – depending on what your needs. This American company was founded in 1983. They have continued to rack up credibility as one of the brands that produce top-notch contact lenses. This outstanding performance has earned them scores of accolades and recommendation from eye specialists. Bausch and Lomb have lenses in different styles and colors. They also offer a range of solution for people suffering from short-sightedness. They are pushing the result-oriented approach. 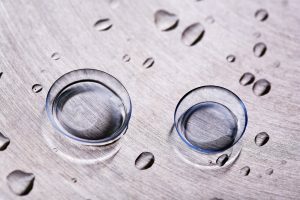 This has continued to see them making lenses that are almost entirely made of hydrogel materials. Fortunately, this is what desired by their converted patients. These lenses are soft and come with moisture seal technology. This helps them stick to your eyeballs while preventing dryness. These breathable lenses not only stick to your eyes but also provide absolute comfort. This includes adequate oxygen transmission to the cornea, so your eyes feel relaxed all day long. Find their toric lenses, bifocal lenses, color disposable lenses, and daily/monthly disposable lenses [here]. Bausch and Lomb carry Soflens and PureVision are available in a lot of options. But you can also get their toric lenses (for astigmatism) or multifocal lenses (for more lens power). This brand provides soft and moisturized soft lenses that don’t compromise patient’s comfort. And that’s throughout the period of wearing them. CooperVision has been able to establish different research and development centers around the world. This has been ongoing since the 1980s. Truly, this brand is concerned about patients with vision problems around the world. They design their glasses to reflect that and that separates them from the rest. The company is trying to eradicate the problems people are facing with their vision. This is without compromising on the quality of their lenses. Thus, they are able to nab two distinguish awards namely the Rebrand and Manufacturing Leadership Awards. Even with this, the brand isn’t relenting. It has continued to provide excellent solutions with a goal of ending eye problems around the world. CooperVision specializes in soft contact lenses. The company belongs to the daily/monthly/yearly disposable contact lenses category. Their popular lenses are the Proclear and Biofinity monthly lenses. Both of them are available in packs of 6 and 12. Thanks to their products quality, this brand has been able to climb it’s way to the very top recently. Whether you’re looking for toric, multifocal or aspherical lenses, consider looking at their inventory. They also have Biofinity, Avaira, Biomedics, Frequency, and Proclear lenses. These are going to offer a great fit for you no matter your eye fitting requirements. With these options, it’s easy to get your favorite contacts, even in bulk. So, check out their available contacts [here]. This company works closely with Alcon and Novartis group of companies. Their aim is to provide lens solution across the globe. Their lens wears all come with silicone hydrogel. This has helped them produce lenses with good oxygen transmissibility. Ciba Vision carries different color lenses and a lot of varieties for those looking to correct their eye defects. While they are available online, you can equally find them in retail stores the world over. This Swiss company is ready to provide contact lenses for regular use. So, you can achieve improvement in your vision as well as constant comfortability. The company produces lenses in different categories. This includes single-use lenses, cylindrical vision lenses, prosthetic lenses, bifocal lenses. Their breathable night & day contact lenses are also worth looking into. Their Air Optix contact lenses have superior oxygen concentration and higher breathability. This, in addition to the moisture lock benefit, makes for a prevention of dry eyes. The Air Optix lenses from Ciba Vision are something you should look into. This is especially true if you are looking for extended wear, toric, or multifocal contact lenses. And if you want the same quality and option that you get with daily contact lenses for your monthly wears, this company will give you that. And you can choose from some of their cool colored lenses. You can find Ciba Vision’s daily, monthly disposable and colored contacts [here]. Ciba Vision toric contact lenses for astigmatism and other solutions can be found [here as well]. This company offers medical and cosmetic solutions to a wide range of patients. This includes their daily and monthly wears. They are designed for patients with farsightedness and shortsightedness as well as other eye problems. Freshlook is owned by Alcon and is one of the widely used brands in the market. The brand provides detailed instructions for each contact lens. This allows you to get the best possible solution for any vision problems. The contacts come with color blend technology (which uses a binding technology). When combined, they give super clear vision without impairing the natural look and appearance of the wearer. Here is a company you can look up to for correcting farsighted/shortsighted or other eye problems. You can find a good contact lens pair from Freshlook. And not only will it fit your eye but also suit your budget. Check out the currently available lenses from Freshlook [here]. Alcon is one of the more popular lens-wear brands around and has been around for long. They have the widest range of optical care products. Not only this but a research center worth more than $1 billion according to reports. This includes surgical products, contact lenses and many other eye care products. So, finding what you want with this brand is quite easy. Alcon’s eye care products are used in over 150 countries around the world. And their products are available in over 25,000 stores in these countries. The company has continued to grow in popularity, thanks to the beauty and efficacy of their products. Their Air Optix AquaComfort and Dailies AquaComfort are two of the most widely used contact lenses. In fact, this is in the entire industry because of their high quality standards. It’s definitely easier to store monthly contact lenses and they don’t take up nearly as much space. That’s because you could get up to six months of lenses in 180 sets. That’s probably going to be a few packages (ten at most) to keep. As regards the monthly contact lenses though, you have to use contact solution to keep them moist. This means having a bottle of contact solution handy. But this would take a little bit of extra space but not a ton of extra space. Daily contact lenses don’t require any solution because there is already contact solution in the package. You simply take out the contact, put it in your eye, throw away the packaging and at the end of the day. Monthly contact lenses are great. This is because you don’t have to constantly be throwing out a ton of waste and packaging day after day. Believe it or not, it does take up quite a bit of space in the garbage can. As you know, that’s not that good for the environment because it is creating a lot of waste. Filling your garbage can with this kind of materials is not something you can do much about though. Monthly contact lenses are good in that sense (less waste and less space to store). However, you have to keep track of the number of days that you have worn the monthly contact lenses. That can be easy for some people but it can be a bit more difficult for other people. Color contact lenses are often used as eye color-changing devices and Halloween costume accessories. In fact, colored contact lenses have gained in popularity over the years. And with that increase comes heightened FDA concern that consumers will harm their eyes. The problem isn’t with the colored contact lenses themselves, it’s the way people use them improperly. The colored contact lenses regulated by the FDA require a prescription for safe use. Which is done to minimize the risk of serious injury. Wear this with a prescription from a qualified eye care professional and with appropriate follow-up care. Improperly fitted lenses may cause corneal ulcers and abrasions, impaired vision and even blindness. The FDA recommends that you first get an eye exam from a licensed eye care professional. Even if you feel your vision is perfect, obtain a valid prescription that includes brand and lens dimensions. You don’t have to purchase your lens from an eye care professional. However, make sure the vendor you use requires that you provide a prescription. Finally, don’t forget to follow directions for cleaning, disinfecting, when wearing your lenses. Also to visit your eye care professional for follow-up exams. At Eyewear Avenue we strive to provide the best advice and expertise on optical items. Our dedicated team reviews popular products, newly released items, and the latest scientific research to ensure you always get the most up-to-date information. For more info on contact lenses or other eyewear products, check out our different categories. Always consult your eye care professional for personalized optical advice. It’s important to have your eyes examined regularly. Also, seek the advice of a specialist in this area before commencing a new treatment. What works for others may not be suitable for you, so do your due diligence before making any changes to your eye care routine. This information is intended for informational purposes only and does not constitute medical advice. All rights reserved. At Avenue Eyewear, we bring you the latest trends in eyeglasses brands with a varying number of online shopping facilities so that you can choose the best eyewear based on your requirements. We intimate our readers with attractive discounts from retailers, best prices, and lucrative offers you won't find elsewhere. We’re also experts on high-end brands like Ray-Ban, Gucci, and Prada, as well as other low-end brands. So, if you’re the type of person who’s all about designer labels, we’ve got you covered. We won't rent or sell or spam your email. We promise! © 2018 Eyewearavenue.com Design. All rights reserved.